If you frequently travel for work then you know that it involves long periods of sitting and not a lot of time for exercise and cooking fresh and healthy meals. What you might not know, however, is that this can have quite a negative impact on your body if you don’t take care of yourself. Constant exposure to germs on board the plane and the general tiredness caused by frequent flying can lead to a weakened immune system, while poor diet and a lack of exercise can cause long term health problems such as obesity. To avoid these long term complications, and feel better and more energised while travelling, here’s a list of ways you can protect your body and keep fit and healthy during and after your trips. Your body becomes dehydrated while flying as a result of being in an enclosed space and breathing in recycled air. It can be tempting to drink a soft drink to wake yourself up when you start to feel lethargic on the plane, however this will only make it worse as when you eventually crash you will revert to feeling sluggish and parched. The best way to hydrate yourself during flights is with water. Regularly sipping water throughout your flight will help strengthen your immune system and increase your brain function, helping you feel more energised and healthy when you land and throughout your trip. You should also avoid drinking alcohol while flying. Because your body is already dehydrated on the plane, drinking alcohol will only dehydrate you more and can even contribute to weakening your immune system and making you susceptible to illness. Your trip schedule is likely to be jam packed with meetings, so you’ll be looking for snacks to keep you going throughout your busy days. Packaged snacks like chips and muesli bars are usually low in nutrients and high in sugar, so while they satisfy your hunger, they don’t provide long lasting energy. If you’re looking for energy boosts throughout the day, consider snacks such as bananas that are packed full of vitamins that helps enhance memory and concentration. Just remember that you probably won’t be able to pack fruits and vegetables when travelling overseas, so buy them when you land. Exercising helps prevent so many health complications and there aren't a lot of excuses for not exercising while you’re travelling for work. 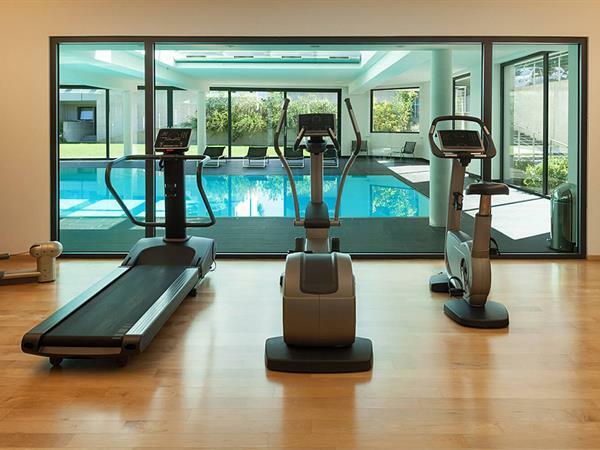 The majority of hotels will have gym facilities so research online before you go. If you don’t like working out in gyms, try exercising in your room or finding a park or beach nearby for walking, running or even cycling. A good place to start would be having a personal trainer or a friend who loves fitness to draw up a workout routine for you that doesn’t involve much equipment. If not, you can usually find these types of routines on the internet. You might be thinking that you really don’t have time to exercise but even just 15-20 minutes every day is enough to keep you fit and healthy. The best time to exercise is first thing in the morning. Not only does it leave you fresh and energised for the rest of the day, it means you can’t avoid it. Often times we plan to exercise later in the day but end up not being able to when things pop up – for example having to work late, or attend after work drinks or dinner functions. Exercising also means being active on the plane itself. During long flights try and get out of your seat every two hours and go for a walk down the aisle. This small bit of movement will help circulate blood and oxygen around your body, keeping you feeling more alert and preventing your body from becoming sore from sitting. Travelling is tiring so it’s important to listen to your body. If you’re feeling tired, rest and recharge. It’s okay to miss your morning workout or have an early night if your body is struggling, you will only feel worse if you push yourself, or have sugary food and drinks to try and boost yourself. Sticking with a routine of exercising, eating healthy and sleeping well will mean there are less times when you feel exhausted. Travelling for work can be unavoidable but it doesn't have to cause you any long term health problems. With just a few adjustments to your work travel routine including a better diet, plenty of water and some exercise and down time, you can dramatically improve your overall health and wellbeing.